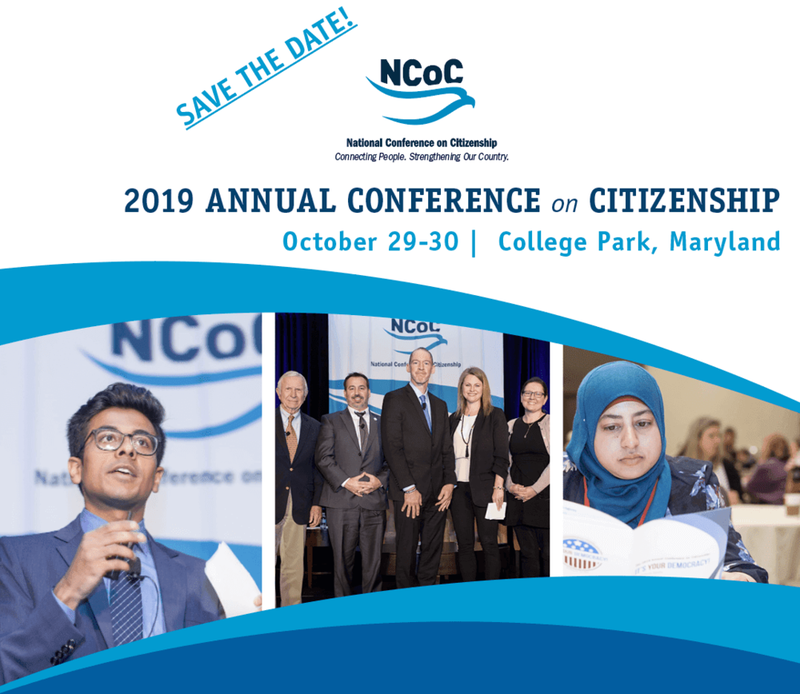 Save the date for the 2019 Annual Conference on Citizenship, which will take place at the College Park Marriott in College Park, Maryland on October 29-30, 2019. Come prepared to share your stories and your work to strengthen our democracy with a remarkable array of activists and reformers. Further information regarding registration and content will be forthcoming. If you have any questions before then, please reach out to conference@ncoc.org.